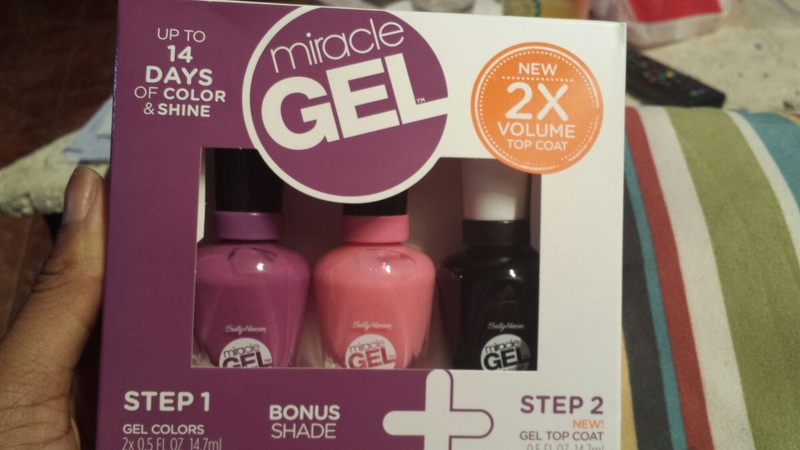 Today’s post is going to be on the gel Miracle System from Sally Hansen. 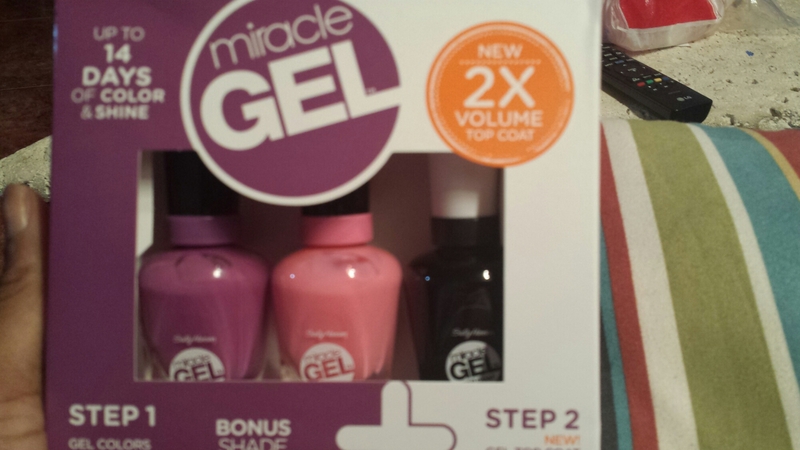 I decided to get the packaged deal since it was 1 for $9.99 and the package deal had two colors and the necessary top coat for $19.99. I got my set at Walgreens. I stopped by there to get this polish and try it out because the Revlon gel polish system was so disappointing. It had beautiful colors but was chipping in less than one day. 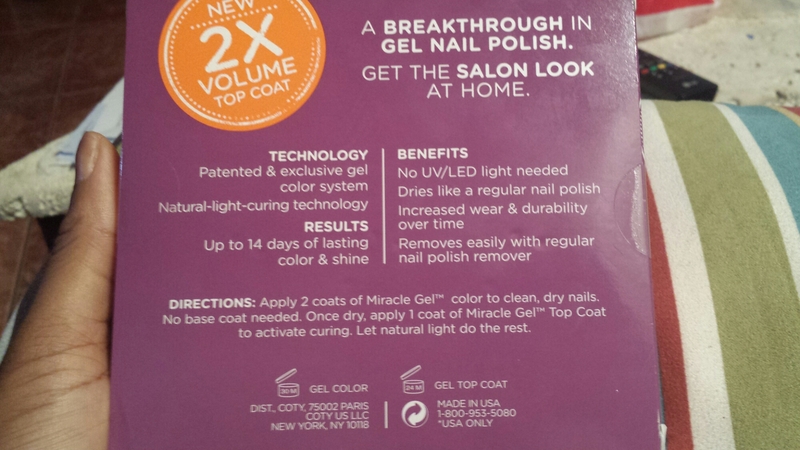 I couldn’t believe gel polish could be that weak. And I wasn’t even doing any housework!! 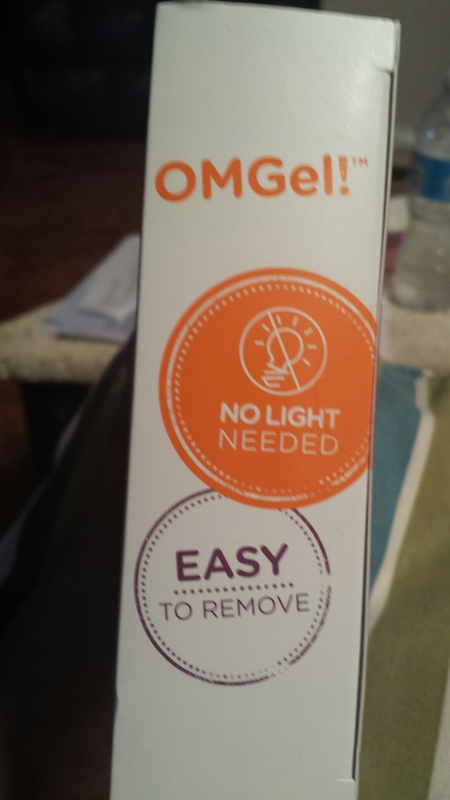 Anyway, with that being said, I has seen the ads on TV for the one by Sally Hansen so I decided to give that one a try, hoping it’s not as bad. So far guys, I must say I am impressed. This is what I expected a gel polish to do/be. It went on smoothly and opaque (but I still used 2 coats though). It dried semi quickly. Definitely not as fast as the Revlon one,but this one does last well, in comparison to the Revlon. It has a good sheen to it as well. And I am oh so happy it hasn’t chipped. 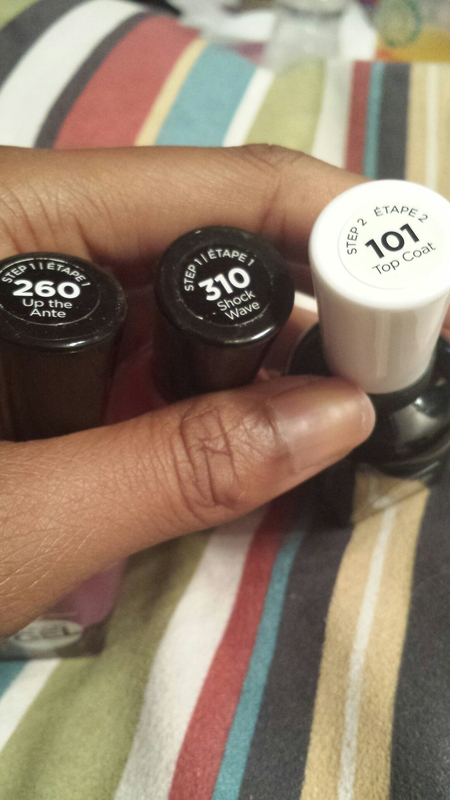 Let’s see if it can keep this up for a week (the Revlon one didn’t last one full day without chipping). I also appreciate the fact that no light is needee, so no big investments and you don’t have to go to the salon to get it done. If you can polish your nails, you can use this system, no extra steps required.